WARNING, GRAPHIC CONTENT: It is believed Sardor Narbaev, 22, ran from Kazakhstan to Russia to escape kidnappers who were forcing him to work on a farm. Daily Mail. Fri, 19 Apr 2019 17:26:38 +0100. Tass. Fri, 19 Apr 2019 17:47:36 +0300. Al Jazeera. Thu, 18 Apr 2019 17:44:10 GMT. Radio Liberty. Thu, 18 Apr 2019 11:30:00 +0000. Sources tell RFE/RL the nephew of the International Boxing Association's former president, Gafur Rakhimov, was the kingmaker behind a newly crowned thief-in-law syndicate. Radio Liberty. Thu, 18 Apr 2019 09:19:34 +0000. ABC News. Mon, 15 Apr 2019 15:47:42 -0400. Voice of America. Sun, 14 Apr 2019 01:45:00 -0400. ZDNet. Mon, 08 Apr 2019 21:25:00 +0000. China's Inner Mongolia region reported on Saturday a case of human infection with the H7N9 bird flu virus, the official Xinhua news agency reported. Reuters. Sat, 06 Apr 2019 10:37:30 -0400. KABUL (BLOOMBERG) - At least 50 Afghan troops were killed or wounded in an ongoing battle in a northern district bordering Turkmenistan after it was stormed by about 500 Taleban fighters late on Wednesday (April 3). Straits Times. Thu, 04 Apr 2019 23:34:37 +0800. BBC News. Wed, 03 Apr 2019 23:04:07 GMT. Israelis are some of the world's healthiest eaters, Uzbekistanis some of the least healthy, a report says. 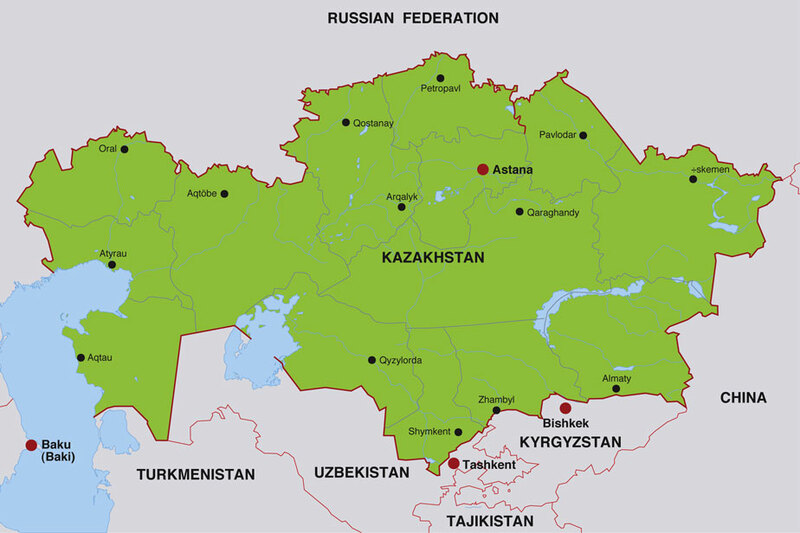 The nations of Central Asia include Kazakhstan, Kyrgyzstan, and Mongolia, as well as Tajikistan and Turkmenistan. For more news and official information about these nations, visit the national government websites listed below. The Republic of Kazakhstan's capital city is Astana, and its national currency is the Tenge. 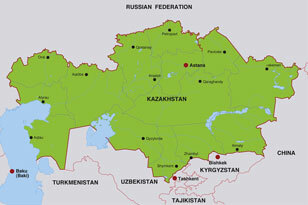 The primary language of Kazakhstan is Kazakh, and in 2007, the nation's estimated population was 15,285,000. The Kyrgyz Republic's capital city is Bishkek, and its national currency is the Som. The primary languages of Kyrgyzstan are Kyrgyz and Russian, and the country's estimated population in 2007 was 5,284,000. Mongolia's capital city is Ulaanbaatar, and its currency is the Tugrug. 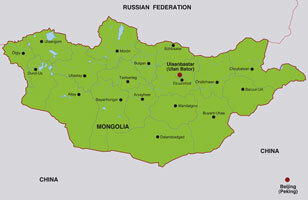 Khalka Mongolian is the primary language of Mongolia, and in 2007, Mongolia's population was estimated at 2,952,000. 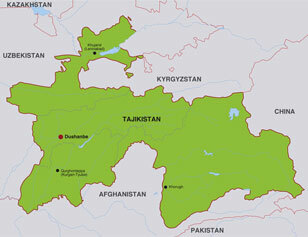 The Republic of Tajikistan's capital city is Dushanbe, and its official currency is the Somoni. Tajik, Uzbek, and Russian are commonly used languages in Tajikistan, and in 2007, the estimated population of Tajikistan was 7,077,000. Turkmenistan's capital city is Ashgabat, and its national currency is the Manat. The primary languages of Turkmenistan are Turkmen, Russian, and Uzbek, and its estimated 2007 population was 5,097,000. The Republic of Uzbekistan's capital city is Tashkent, and its currency is the Sum. The primary language of Uzbekistan is Uzbek, and its estimated population in 2007 was 27,780,000.